Control is one of those direct to video movies that deserves better than it got. It deals with a theme that not only is very interesting and compelling it is also one that seems to be a subject of all times. Can criminal behaviour be changed? The same topic was touched upon in book and movie The Clockwork Orange and in Control it is brought to a more contemporary time so it's a little more accessible. Control is intruiging from the start but loses a bit of steam in the middle and in the end disappoints just slightly. As the ending seems to be rushed and very conventional. However it does offer something that adds to the strenght of this movie. But here is another example where it is shown how good performances make a film better. Ray Liotta and William Dafoe bring a sincerity and seriousness that is very much needed and for me enhanced the viewing experience quite considerably. Now on some people this might be lost since they were expecting hard hitting action. 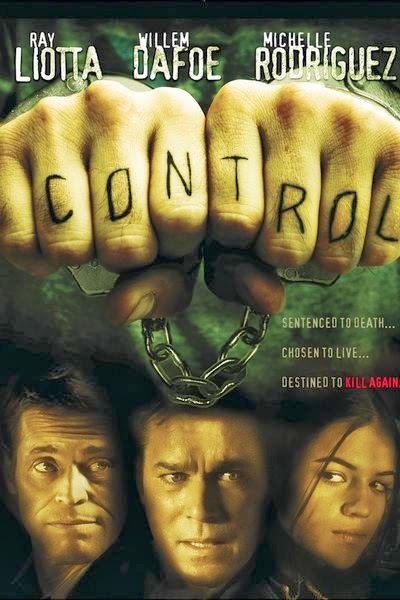 Control does contain some action but nearly not enough to satisfy the action aficionados. In my opinion one of the better direct to video productions in existence.